Workinonit Farm wrote: Mallowmars are where its at! Wish I could find some of those. Pretty expensive for a cookie, I have never had them. greybeard wrote: I (in a moment of insanity) was subservient to my wife's wishes tonight and we went into McDonalds. 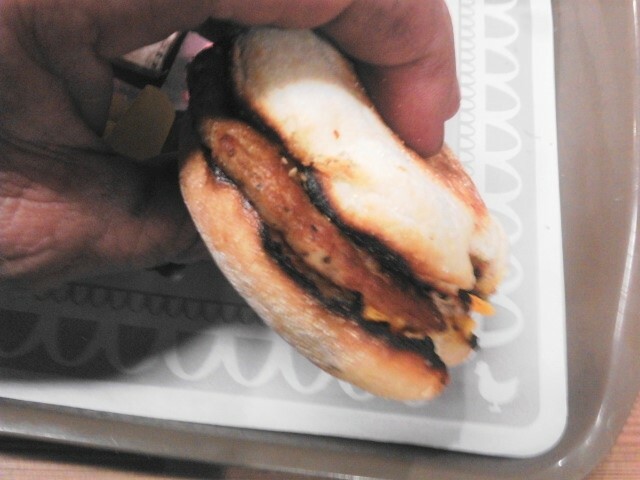 I figured, "how bad can a Sausage Egg McMuffin be.surely they can't screw up a muffin with a bit of egg, cheese and a patty of sausage on it...can they?" That doesn't sound too appealing.. are you going to try 1? 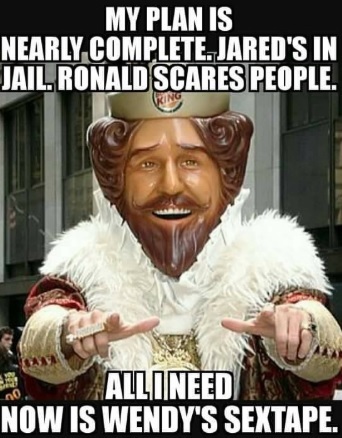 it's been a long time since I've been to a Burger King. Son of Butch wrote: IF I go to a Burger King this year I will... caramelized onions are always good and lots of cheese on hamburger... but it's been a long time since I've been to a Burger King. My dog LOVES Burger King. Lots of grill smells and those 10 for a dollar chicken nuggets. They are seasonal and not all stores carry them. My brother found some, in a Walmart in bedford Co. Va. for $3.80 a box. If these things are so popular, why not just keep it in the menu all the time? It’s like Papa John’s Cheesburger Pizza. It’s a popular pizza, but they don’t have it a lot. Then they will have an add, “it’s back!” Why not just keep it all the time. It’s odd that I asked a Pizza Hut manager about a Cheesburger Pizza, and he said it wasn’t in their menu, but they could easily make one if a customer wanted it. jltrent wrote: McDonald's is on fire with no end in sight. One of the top five performers in the Dow. Apparently a lot of people getting those Big Mac's and McRib's. I remember when the big mac was big.